Generally, Seine installation supplied from China Nylon Baseball Net Supplier can be divided into two types: embedded installation and flange fixed ground installation. Flange installation foundation is usually cement, through the expansion screws fixed iron fence column. However, due to the general open space is mostly land, there is no cement foundation, so the open space Seine is mostly embedded installation. And how to bury the column of the Seine? 1. The embedded parts shall be preembedded in advance (the Seine shall be prepared 7-10 days before the installation to ensure the solidification degree of the embedded holes), the holes of basketball court and volleyball court shall be 50CM (wide) *60CM (long) *70CM (deep), the holes of football field shall be 60CM (wide) *70CM (long) *80CM (deep), and the holes shall be dug from the middle to middle distance with 3.15m as the axis. 2. In advance good specifications for the hole in the middle place a diameter of 110 mm PVC tube (tube length is 70 cm) basketball courts, volleyball courts insert underground 30 cm, 40 cm above the ground, football field to insert the underground 50 cm, 30 concrete backfill with C25 or embedded hole to flush with the ground, after 1 hour to concrete fast solidification when take out the PVC pipe with cement bag or other content blocked the entrance of the cave, curing period for 7 to 10 days. 3. When the embedded hole is ready, the column is put in place, and the column is supported by a straight rod with a straight rod. After the cement solidifies, the column and the mesh are installed. Follow each step of the above steps to ensure that the embedded column is stable and the installed Seine is firm. 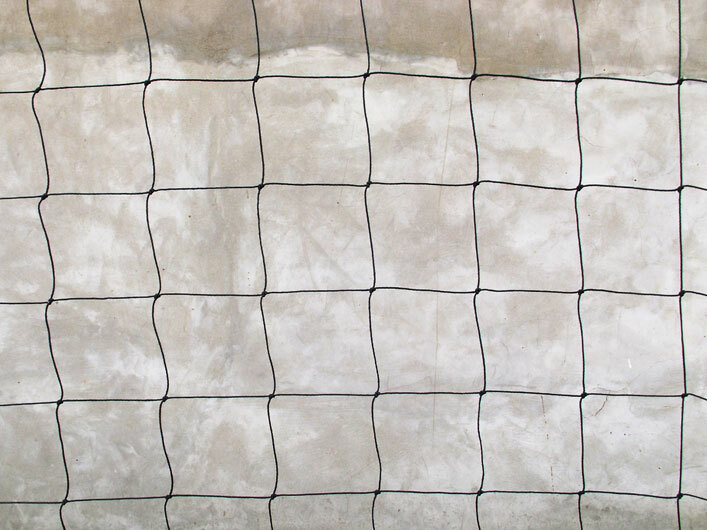 We are the Volleyball Net Supplier China,if you have any demand for our products,just feel free to contact us. Previous What are the advantages and types of sunshade screen?